Colored mortars, representing nearly 20% of the overall appearance of mortar walls, can have a dramatic impact on the finished masonry project. In the northeast we deal with the cold winter months. This will not only slow the team down, but can also effect the final color of the mortar joint. The greatest effect is due to the retardation of the chemical process in the mortar. This variation in set time could change the overall appearance of the masonry wall. The mortar in this scenario can be expected to lighten as continued curing occurs in warmer weather. Proper tooling should ensure weather-tight joints and a uniform appearance. To achieve this, the proper time for tooling must be given consideration. Tooling should be done when the mortar has stiffened to the extent that a thumb-print is barely visible. Tooling beyond this level of hardness may cause the the joint to cure with a darker appearance, which is the case for mortar regardless of temperature. There of course is nothing we can do to change the weather, but we can react to prevent the cold from impacting your hard work. Do not lay masonry units having either a temperature below 20°F (-6.7°C) or containing frozen moisture, visible ice, or snow on their surface. 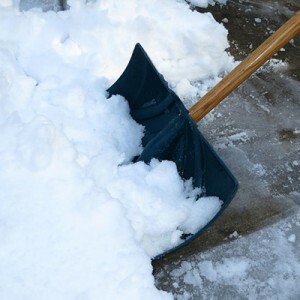 Remove visible ice and snow from the top surface of existing foundations and masonry to receive new construction. Heat these surfaces above freezing, using methods that will not damage the masonry unit. Mixing procedures and the temperature of the water should be monitored to ensure consistency. Warm, not Hot water should be used as flash setting could occur. After done for the day, completely cover newly constructed masonry with a weather-resistive membrane for 24 hours after construction. Need to find the right product for your project? If you’re wondering what product to use for your particular project, we can help. Not only do we tell you what product you’ll need but we also offer directions and in many cases online video demonstrations.